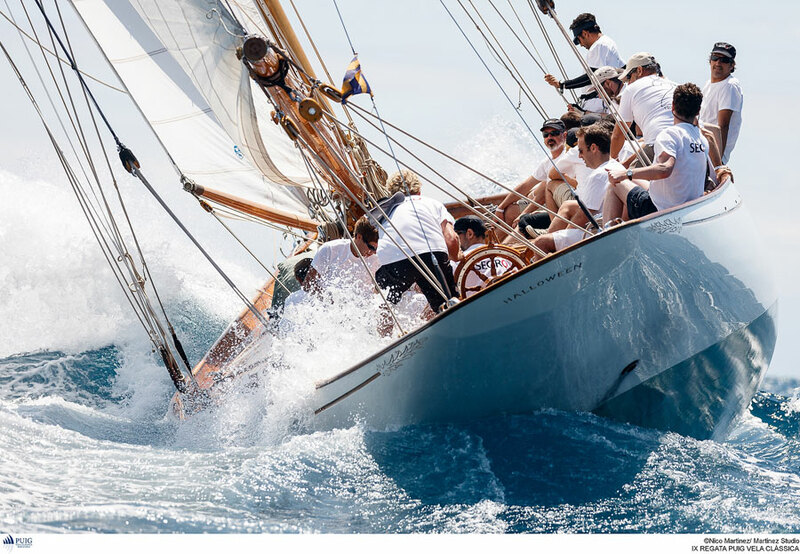 The ninth edition of the Puig Vela Clàssica Regatta will be remembered for its excellent wind conditions. 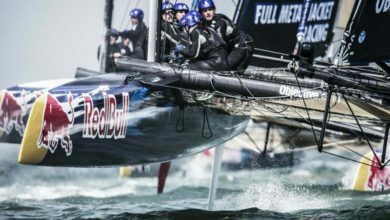 Never before had they been so constant for three days, and if it is true that wind did not blow as strong as in any of the preceding meetings, the course of Barcelona regattas offered a Garbí thermal wind never lower than 10 knots, averaging in 13 or 14 along the competition. 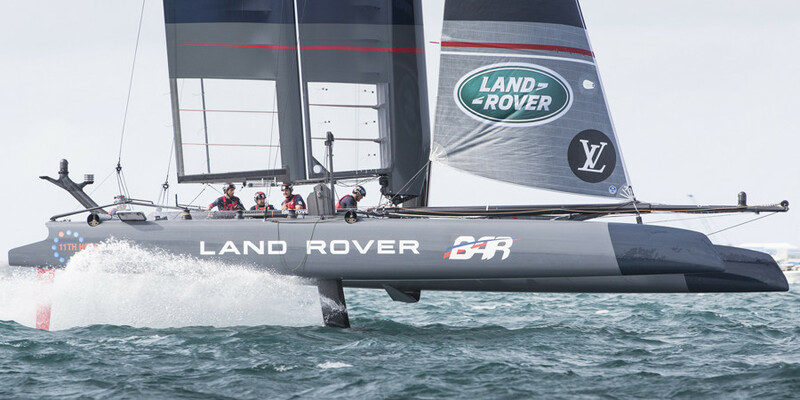 It also blew following a British punctuality and facilitated the development of a sports programme with three tests, whether on routes between buoys or coastal tour. The sun would not miss the call, while the current was an exceptional protagonist. Upwind the first two days, the current altered timid waves, making them shorter, choppy and messy, especially affecting small boats and medium length. The fleet gathered this year exceeded again the number of 40 vessels, representing nine countries and more than 500 sailors in competition. 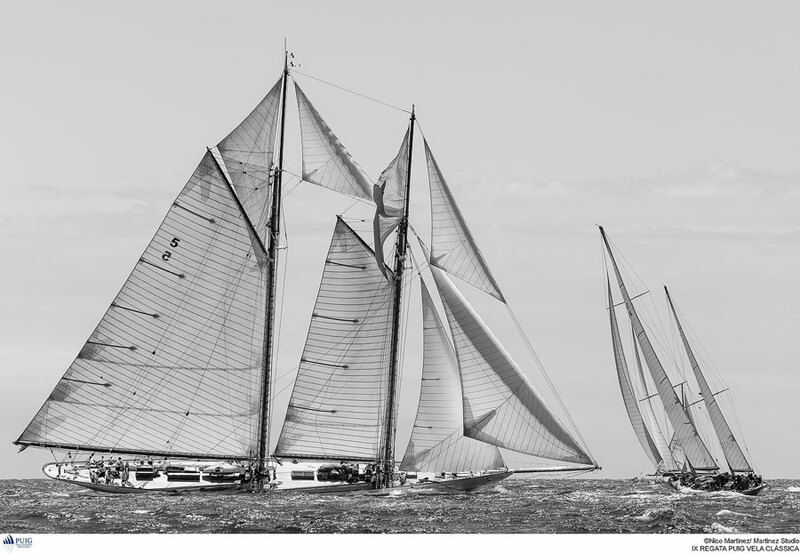 They were grouped in Big Boats (bigger than 22 meters length), Vintage (before 1950) and Classic (pre-1976) categories. 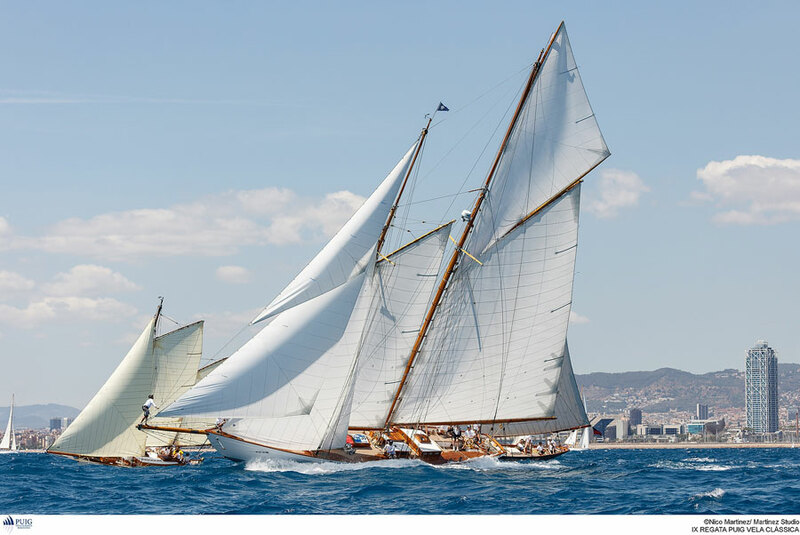 In turn, Vintage category was divided into Cangreja and Marconi, according to their type of sails, while Classics, divided into 1 and 2 types, were formed according to their size and performance. One of the novelties of this edition was the right decision made by the Regatta Committee to combine different sections in the routes by categories, so that regattas were carried out in accordance with the technical possibilities of each fleet, which did not interfered with each other and so that the duration was as evenly as possible. 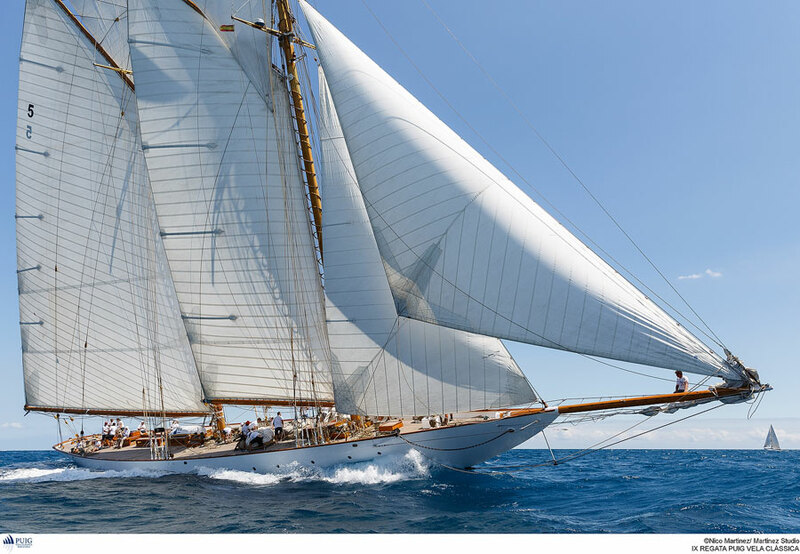 The majestic Big Boats regained the prominence of previous editions with the participation of four boats. Neither Moonbeam III quotes, winner of four editions, nor Moonbeam IV, with the victory of 2014 in its record book, did not miss the meeting. The always impressive Eleonora and the debutant of this year in such Barcelona event, Sumurun, coming from the United States, joined both Moonbeams in the regatta. Mariette from 1915 was unable to start sailing in the regatta course by logistical problems. 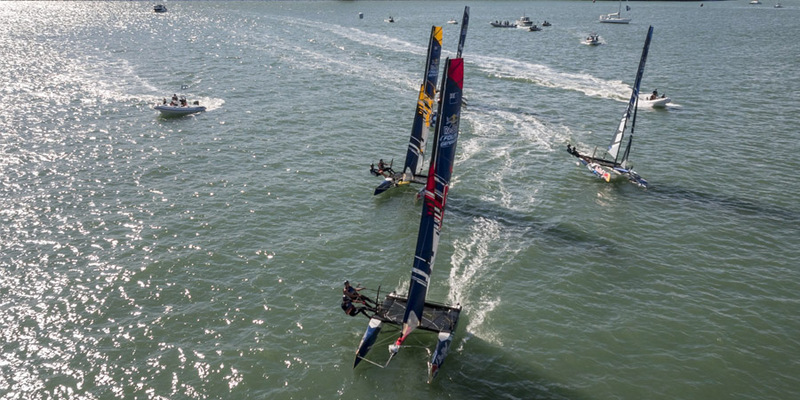 Far from what it may seem, and as had already been witnessed in previous years, competitiveness in this fleet of large boats breathes through every pore of their woods. Come-outs as those witnessed in the third and final test are a good example of tactics and markings without compassion. When Moonbeam IV was trying to start sailing on port tack, it tacked to yield the right of way to Eleonora, thus leaving Moonbeam III without wind, which in turn decided to veer looking for clean wind again. But Sumurun did not waste its chance and bow veered to keep it without wind. And everything happened in a span of 80 seconds after the come-out! The final victory was decided in the last test, in which Moonbeam IV began with a point ahead of Moonbeam III and two regarding Sumurun, wehearas Eleonara was already mathematically discarded. 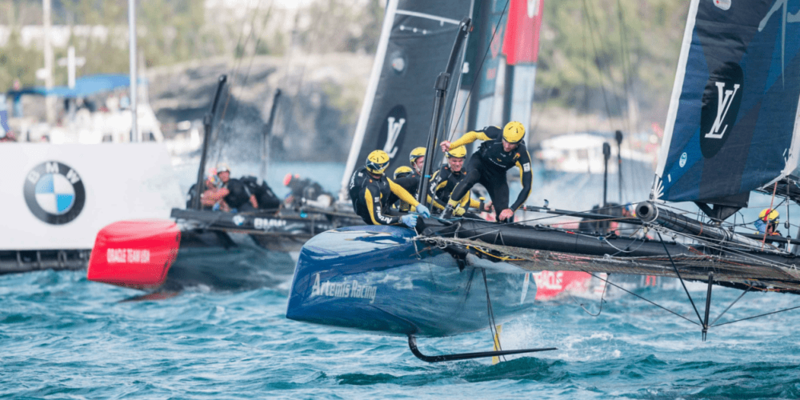 After a breathtaking come-out, Moonbeam III knew how to recover itself from the former markings and sign the test, just ahead of its main rival, Moonbeam IV. 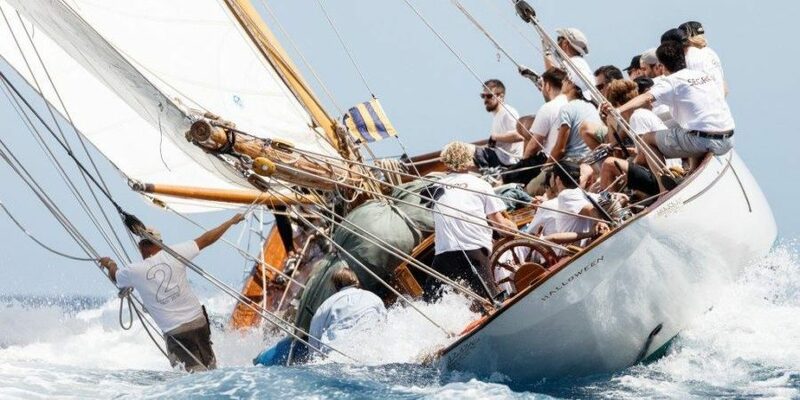 Tied to 5 points, its best partials (first two regarding only one of its rival) pushed it to the highest step, and so Carsten Gerlach’s boat, skippered by Erwan Noblet, signed up for the fifth time its name on the winners book of this current Puig Vela Clàssica. After Moonbeam IV, Sumurun from Armin Fischer completed the podium, and Eleonora, led by David Martirano closed the classification.